Today is the 30th birthday of the Mac computer. When it first came out in 1984, I was a senior in college in Flagstaff, AZ. Little did any of us truly understand where we would be 30 years later with computers, the internet and mobile devices. Indeed, 1984 was NOT like George Orwell’s 1984. As I write this today in 2014, the computers and the Internet have become major factors in my life and the life of millions of others in the world (but I am still using a PC at home….can’t afford a Mac….). But I can recall when it wasn’t always that way. Indeed, I can recall when there was no such thing as the Internet. There was no such thing as networked computers either. Even before I knew much about it, there was already some discussion. Here is a news video from 1981 (from wimp.com) about what would later become known as the World Wide Web…. My first real interaction with computers didn’t occur until1986 when I was working on my Masters Thesis at Arizona State University. I was connected to a large mainframe (which had less memory than my iPhone today) and wasusing a black screen with colored text and using a program called WordStar which was only attached through the network. I had to save everything to the network. 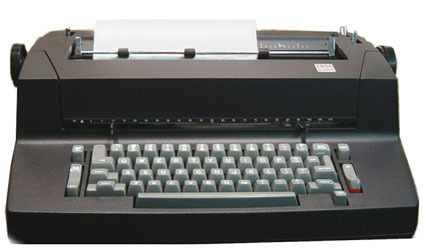 In the midst of my work on it, the first portable computers started arriving at the school. I can remember when a Compaq portable computer arrived at our computer lab. iI was kind of bulky, but it was portable nonetheless. Back in those days, we had to use DOS commands to move around and do things. With the new Compaq computers, we were able to save our content on a floppy disk. It was one of those real floppy disks…they were big, about 7 inches, and floppy. By 1987 I was on my way to Japan to work for the Japan Exchange and Teaching Program (JET Programme). When I got there, they were still not using computers, but they did have a couple of “WaPro – short for WordProcessors” with convoluted keyboards. for all the Japanese characters. By the time I left in 1991, the “Internet” was available, but it was more like a bulletin board and I had to go to the local Nikkei Shinbun (Japanese version of Wall Street Journal) office in order to search anything. Looking back I can certainly see that it was a precursor to the Internet. 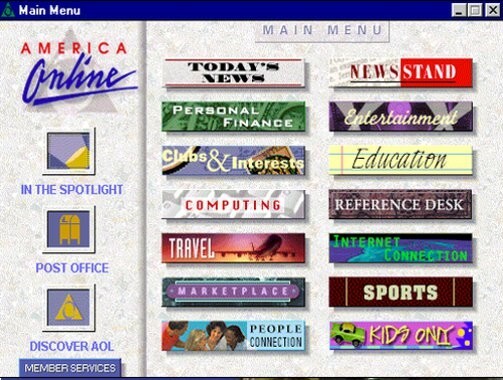 My first real experience with the Internet came when I got a membership to America Online (now known as AOL). 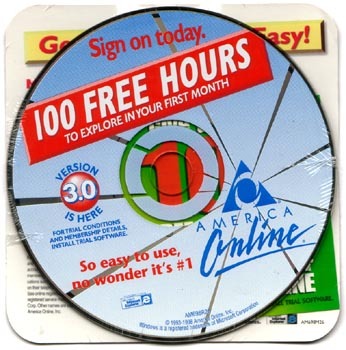 (See AOL today) Yes, those people that were around in the 1990s probably remember seeing America Online floppy disks and CDs everywhere in every store and everywhere you went. (I wonder if anyone has kept one as a souvenir??) Seems like at that time everybody became an AOL member and they were able to send email back-and-forth to each other. We were starting to see online apps available and the Internet started to come of age. Of course, we didn’t have high speed connections back then either. We paid a high premium to the telephone company to get a 56K modem to hook to the telephone line. When we were online, we couldn’t receive calls. 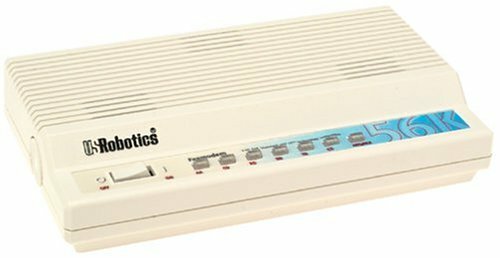 Initially they were boxes we plugged in, but eventually you could get one added into a slot in the computer and then plugged the telephone line into it. I can remember how cool it was looking up information on a browser through AOL. I even use the Internet for the first time in the 1990s to plan a trip when we had Barbara from France staying with us. Not everyplace was on the Internet at that time, but I was able to get maps and able to find some information about some places. Windows developed Internet Explorer and a company named Netscape soon provided an alternative to the AOL browser. And search engines were born as well. 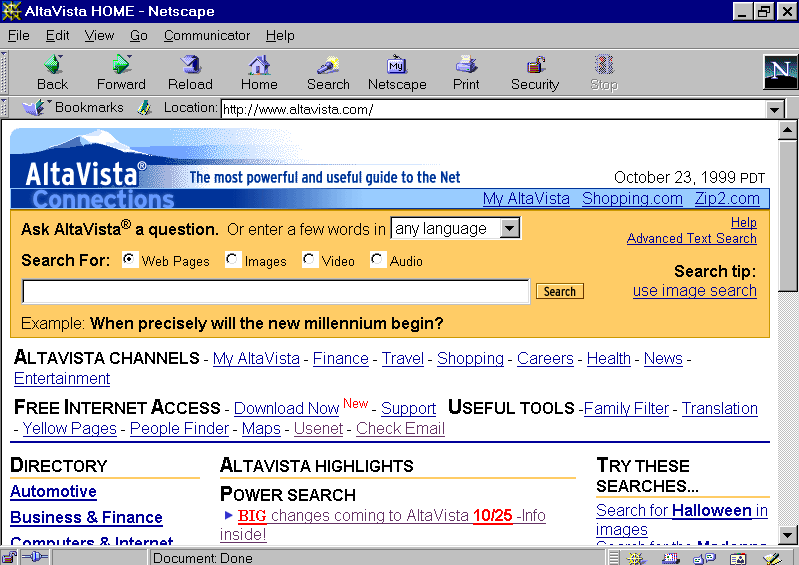 Back then, before Google, there was AltaVista, which made searching for things on the youthful internet so much easier. I remember using it when I worked for Green Gates Farm as their office manager. Keeneland had just gotten their website up and running at that time. And we were able to look at the schedules and some of the other things. But Internet browsing was still a bit sketchy and things would go down. 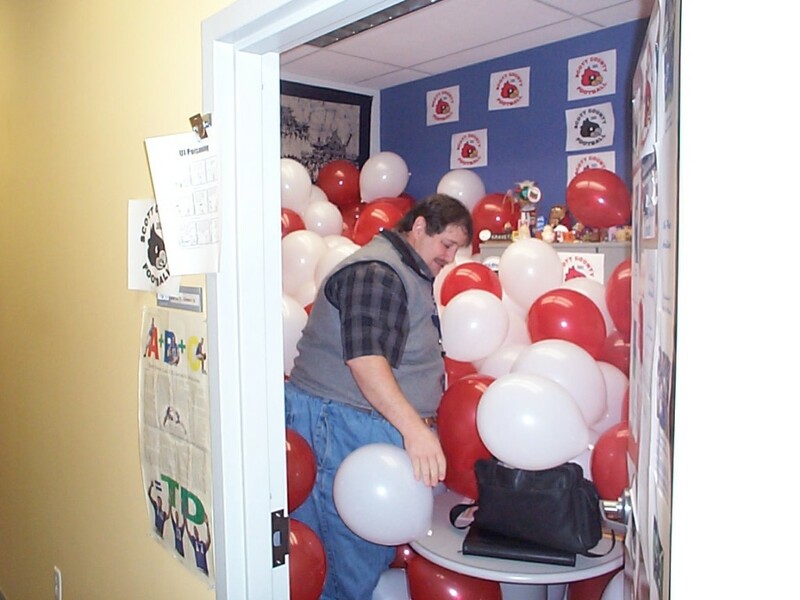 By the late 1990s I was working as a contractor at Toyota and I experienced my first job working as a computer tech. I was originally hired to manage the printer configurations for Toyota’s Japanese printers, due in part to my work at Green Gates where I had to learn to configure our Lexmark printer to work with an HP Printer Driver (once again, at that time I had no idea that I would eventually end up at Lexmark!!). 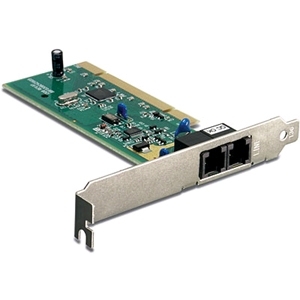 I soon started learning networking and at the same time the Internet started getting more and more capable. Internet Explorer had became the main browser as Windows grew. By this time AltaVista had been purchased by Yahoo!. Google wasn’t even really much of an entity at that time, though it had been created in 1998. Despite all of this growth, it seems to me that the main use of the Internet at that time was still being able to email back-and-forth. 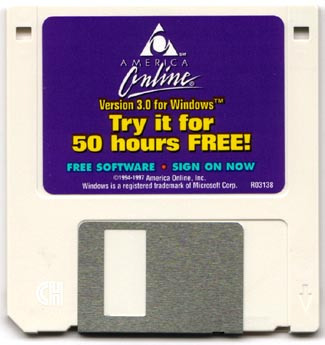 AOL was still a big thing and everybody loved to hear that “you’ve got mail” whenever they would check their mail. Since then, the Internet has blossomed. It is everywhere. 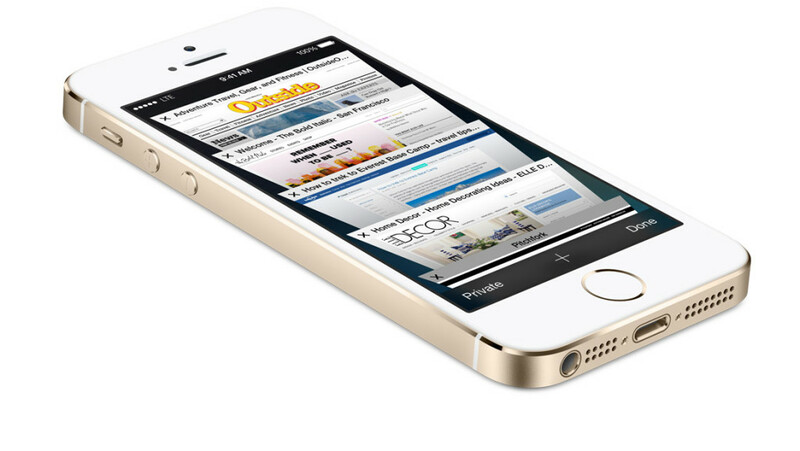 We have mobile devices that access the internet. I eventually worked at Lexmark, which was borne out of IBM. I was basically working on the forefront of InkJet printer technology, which boomed in the 1990s but has since faded away. Lexmark no longer manufactures inkjets and there are only a few companies that do. Today Yahoo! still thrives, but is no longer the “big guy” out there. That is now Google…indeed, the world seems to have become a GooglePlex…. And of course, what of the 30 year old Mac? Apple is one of the biggest companies in the world and from the invention of iPods (for music) to mobile phones and now “mobile devices” such as an iPhone and an iPad, Apple too has come on its own. I have a Dell laptop with Windows, but also have my own iPad and iPhone and can’t live without them…. We have come a long way in 30 years!! 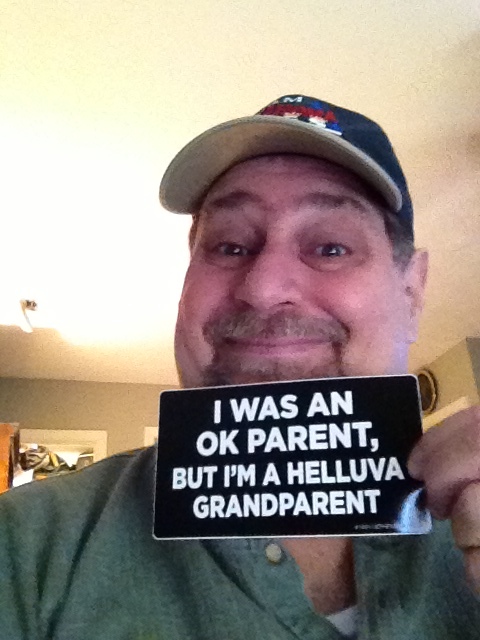 David 2014 – Grandfather of nine and photo taken with mobile device and posted to the internet without a modem! Today, I work as a WordPress specialist and an internet Broadcast specialist. I write three blogs. I worked for a DotCom company (iHigh.com) for four years. I worked for a Printer Company. I have done Network support. 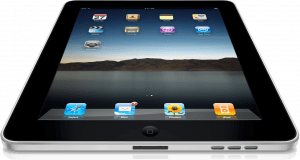 I have worked in a call center providing technical support for Mac users and iPhone users. Indeed, I eat, drink and sleep with the internet and derive 100% of my income from internet related work. Its amazing what a History degree and Political Science Master’s degree will get you. 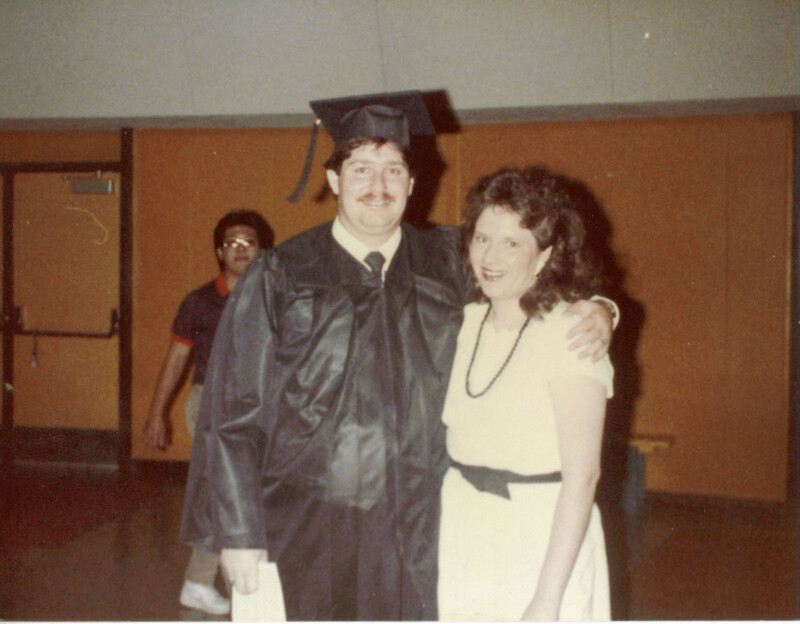 I never imagined I would be where I am today….but I am still a geek! !